Download all photos you're tagged in with the click of a button. EXIF date/time and location information included - your photos are easy to import into other programs. Private - your photos are not kept on our server after you download them. View your photos and optionally download individual images. 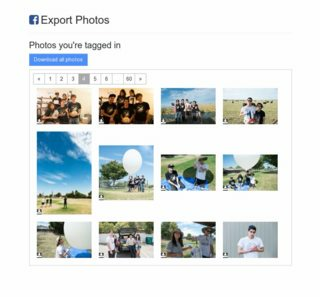 Download organized and EXIF-tagged Facebook images, all at once.